This strain initially grows with wide leafs and strong stems and structure. It performs very well indoor in high density grows for its central production that produces a very nice top cola. In mid flower time you will start seeing some large, white buds with a nice calyx to leaf ratio. Scents are in the range of woody, with earthy and hash undertones. 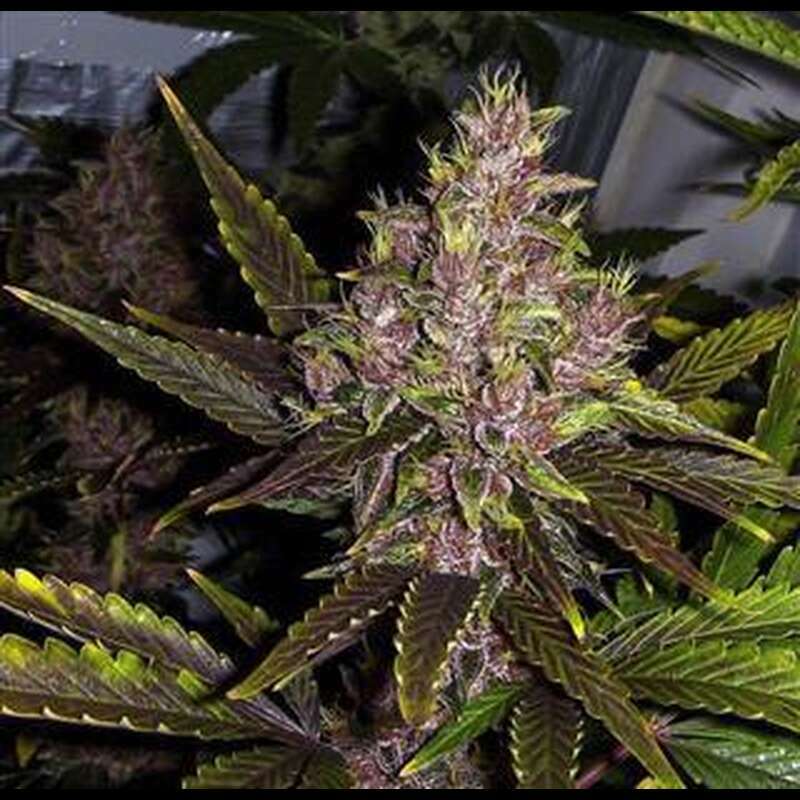 Tropical Seeds also find fruity, grape and red fruits, wine aromas usually linked to the more intense purple plants. The effect is a happy uplifting and inspiring one that will get you relaxed once it expands.